Welcome to the Romanian Mastercam page! 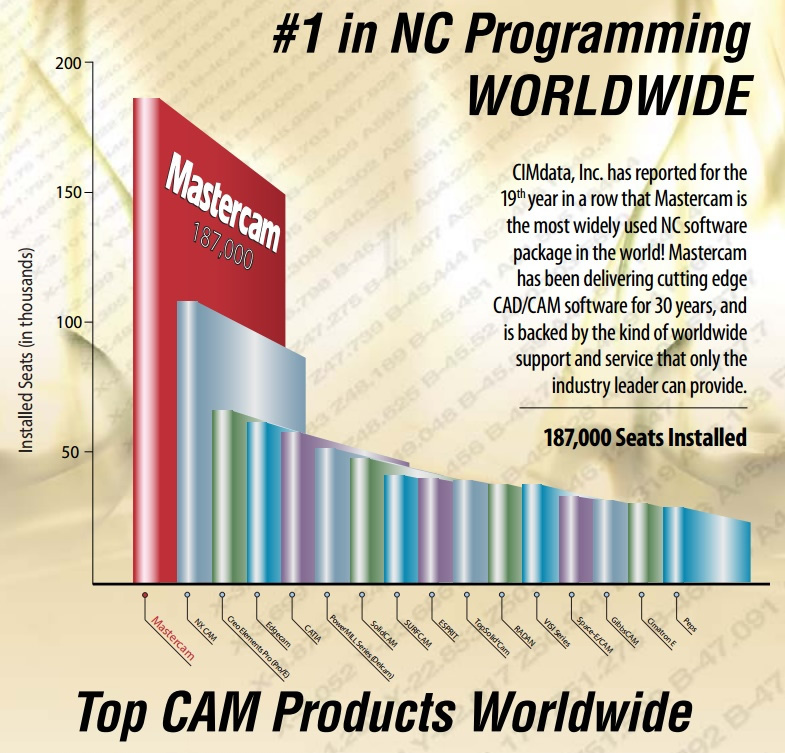 Mastercam delivers fast, easy NC programming that lets you make the most of your machines. With modules for many CNC applications, you are assured to find exactly what you need. There is no job more important than the one you're working on. Mastercam X8 expands the world's most widely-used CAD/CAM* software to ensure you always have the precise tool you need. Streamlined. A remarkably easy interface has you cutting parts quickly. Comprehensive. Get the most robust 2- through 5-axis toolpath generation available. Time-saving. Mastercam’s Dynamic Milling technology cuts machining time and tool wear. Smart. Intelligent toolpaths and design Change Recognition know when your part has been edited. Automated. Feature-Based Machining delivers push-button 2D programming. Copyright © 2014 NCS Technological Solutions Ltd. All Rights Reserved.